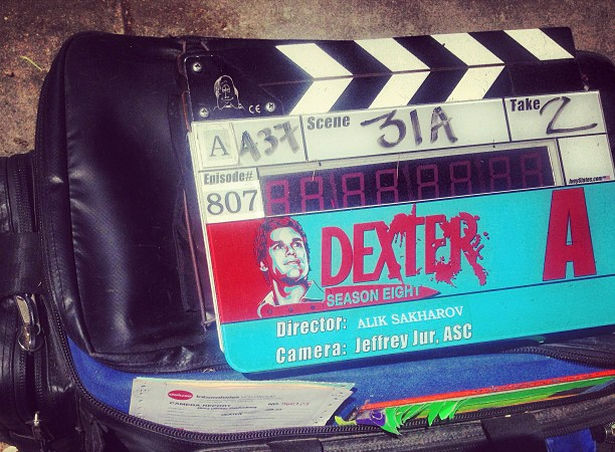 Dexter is shooting at 5916 Carlton Way in L.A. today. 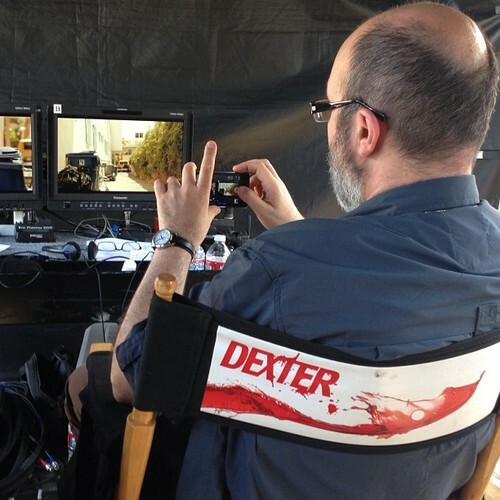 Hit the 'read more' button to see new fresh set photos from Wally Crowder about episode 8.07 "Dress Code", which is being filmed right now! 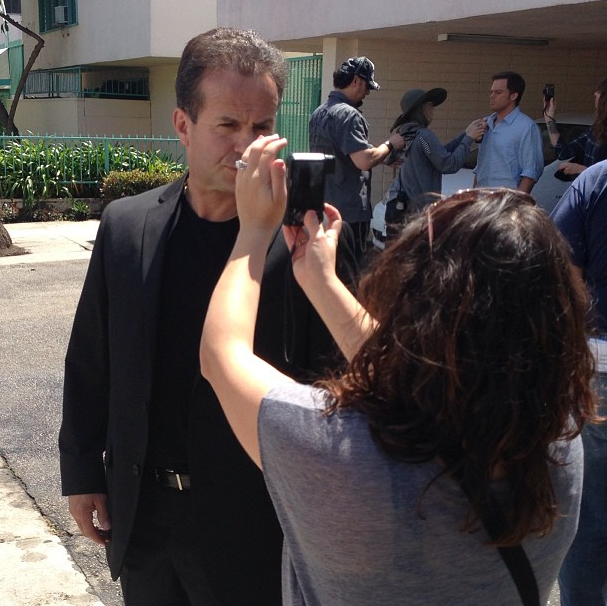 Director Alik Sakharov checking out a fight.